My Regency characters would never have celebrated Thanksgiving—it is an American holiday, after all. My characters in pioneer Seattle would have known of the national day, though Abraham Lincoln had proclaimed it only three years before the time their stories are set. By the era of the cowboys of Little Horn, Thanksgiving was a cherished tradition. So, Marissa and I are off next week in celebration. As a thank you for your readership, we leave you with a nineteenth century recipe, updated for today. I have cooked it. It was a little bland for my taste (and I like less spicy things), but very filling! Butter the casserole and line the bottom with some of the bread cubes. 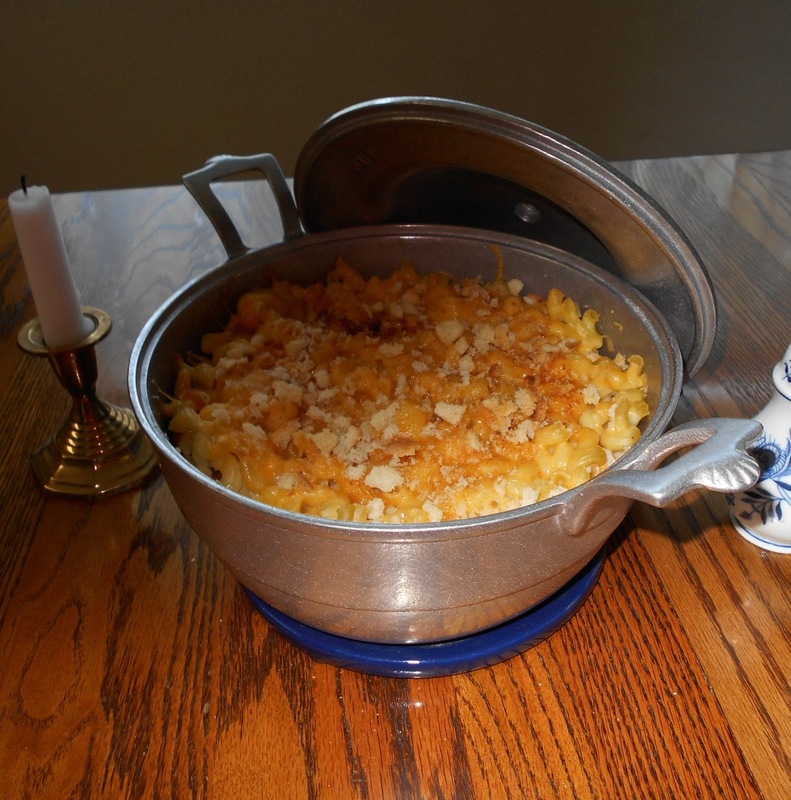 Add a layer of macaroni and sprinkled some of the grated cheese over the top. Add a layer of stewed tomatoes and sprinkle with salt and pepper. 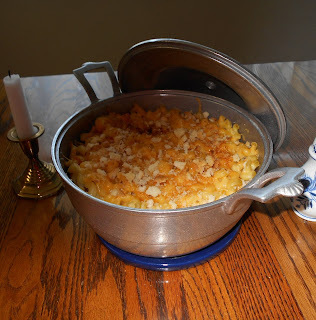 Add another layer of bread cubes, more macaroni and so on until the dish is nearly filled. Crunch up the remaining bread cubes and sprinkle them over the top. Pour milk over it all. Bake until nicely browned, about 35 minutes. I will also leave you with one other piece of news. Utterly Devoted, which is recommended in The Complete Idiot’s Guide to the Ultimate Reading List, has been reissued as The Unwilling Miss Watkin, book 4 in the Uncommon Courtships series. It is one of my most highly acclaimed books, featuring one of my personal favorite heroes. I am very thankful to have it available for readers once more.